In honor of World Emoji Day (yes, that’s a thing), Apple is previewing some of its upcoming emoji. Later this year, Apple’s emoji set will feature people with a variety of hairstyles and colors, including curly hair, red hair and white hair. What you’re about to see are simply Apple’s take on emoji that were previously approved by the Unicode Consortium’s emoji subcommittee. Folks with curly hair, rejoice! 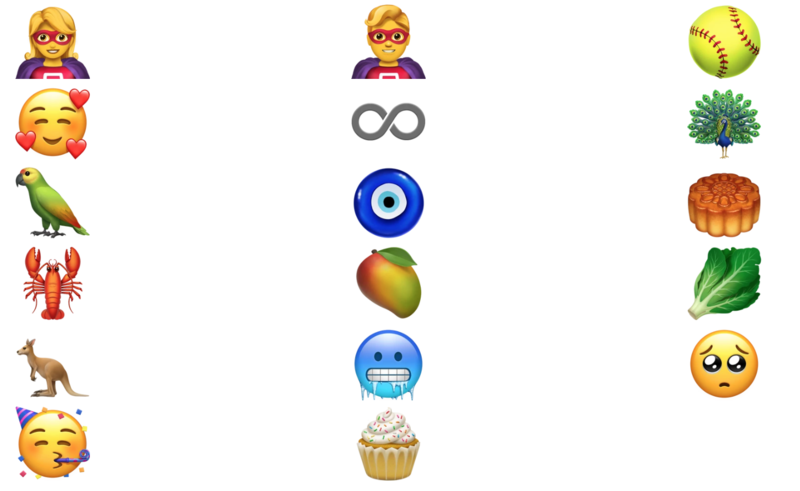 Other fun emoji include a freezing face, peacock, mango, lobster, nazar amulet, superheroes and kangaroo. Back in March, Apple proposed new emojis to represent people with disabilities in Unicode’s next batch of emoji. Then in May, Unicode announced some of the draft candidates for its next emoji release in Q1 2019 to include some of Apple’s proposed emoji, which featured a guide dog, an ear with a hearing aid and more. If you want to hear more about what goes into emoji approval, be sure to check out this interview with Jeremy Burge, vice-chair of the Unicode Emoji Subcommittee.